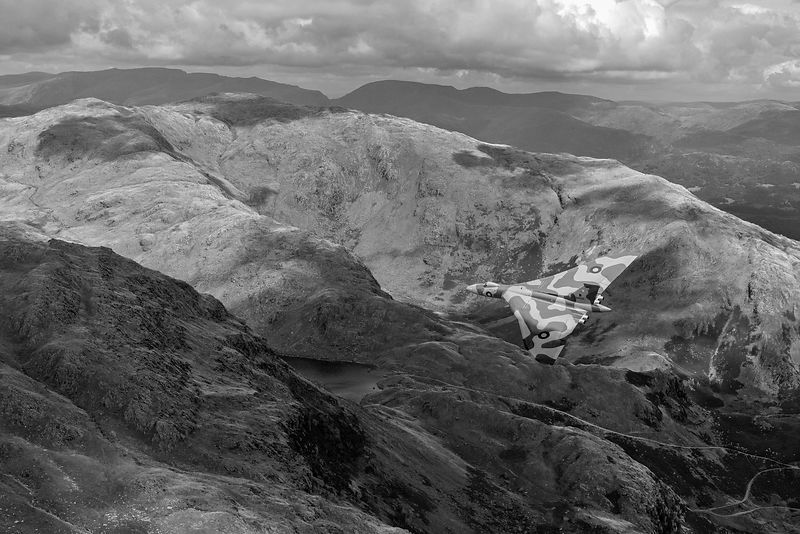 The striking sight of an Avro Vulcan B2 nuclear bomber flying at very low level in the English Lake District. My depiction recalls the dramatic change of tactics that the Vulcan deterrent aircraft and their crews had to undergo in the mid-1960s in response to improving Soviet defence capability, switching from very high level to very low. In the process they were repainted from their brilliant white "anti-flash" finish to the now-familiar grey and green camouflage pattern.